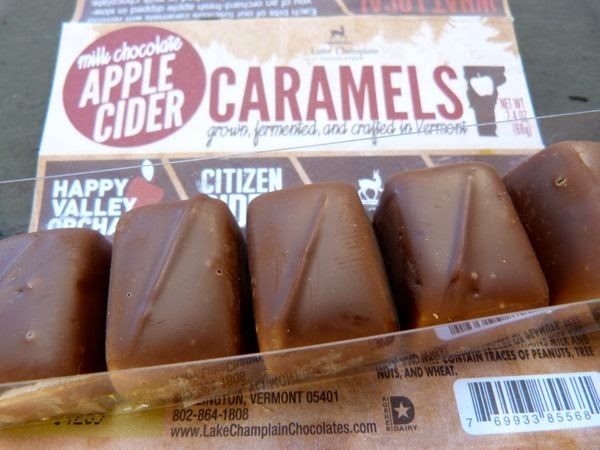 Colorful leaves, crisp fall weather and apples marked this week's progression into autumn -- as did today's Milk Chocolate Apple Cider Caramels "grown, fermented, and crafted in Vermont" by Lake Champlain Chocolates (Burlington, VT). 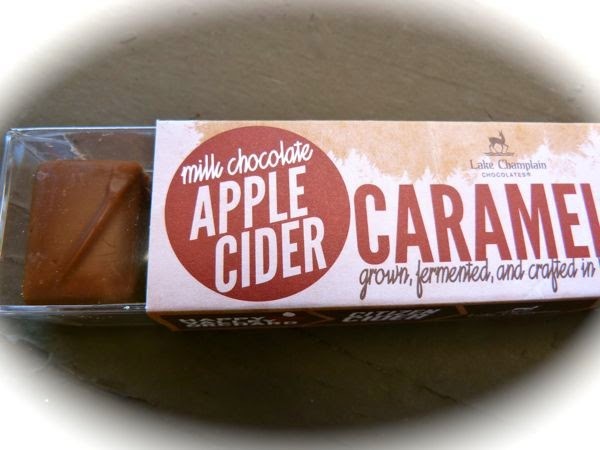 Coated with 34% milk chocolate, the flavors in these rectangular-shaped treats sprang from a blend of tart Citizen Cider apple cider and Happy Valley Orchard apple pressings -- in a soft caramel with hints of brown sugar, butter and organic cinnamon. 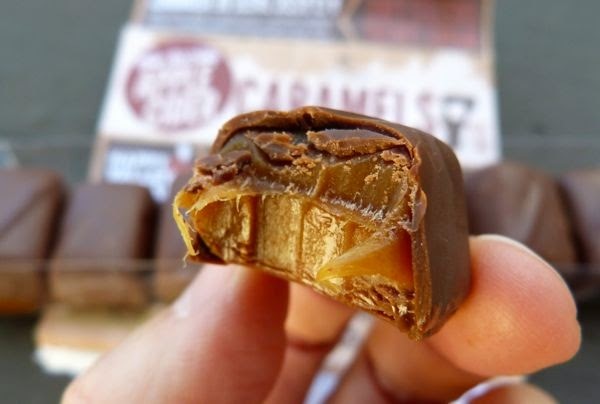 Today was Day #2 of Chocolate and Holiday Spices Theme Week.